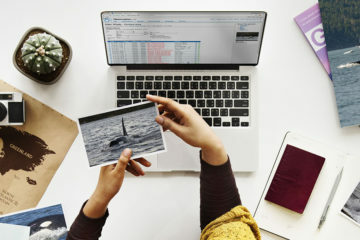 The details behind the picture above are mostly unknown. What we do know is, that it was taken sometime between 1880 and 1885 at Muizenberg Beach in South Africa. It is the oldest photograph of a mass beaching I could find. The people in the picture will no doubt have wondered how these large marine animals have become so helpless on the beach. And that question is still alive. 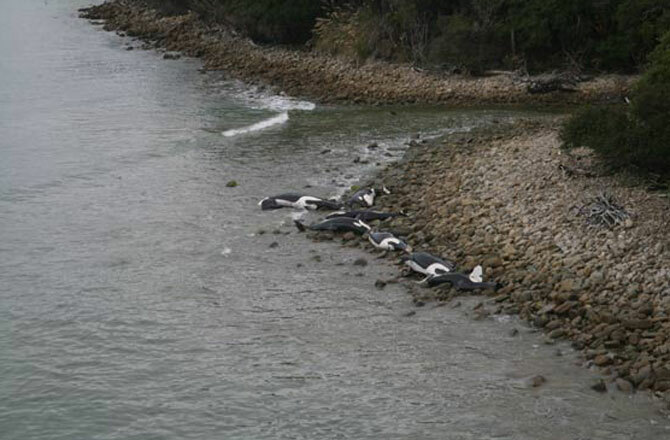 The sad images of nine dead orcas in New Zealand from 2014 went around the world. Researchers are still mystified by what could be the cause of this fatal stranding. 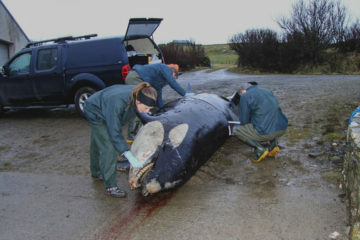 Mass Stranding of cetaceans, such as pilot whales and false killer whales, are frequent. Orcas, however, don’t beach very often. A stranding of a group is – fortunately – a rarity. But what might be the reason for such a mass beaching? If we look at the statistics it is immediately apparent that New Zealand ranks high when it comes to mass beachings (a beaching is a mass beaching if there are 3 or more animals are involved). 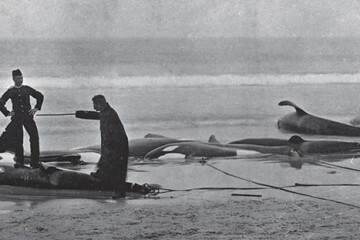 From 1972, a total of seven strandings occur. 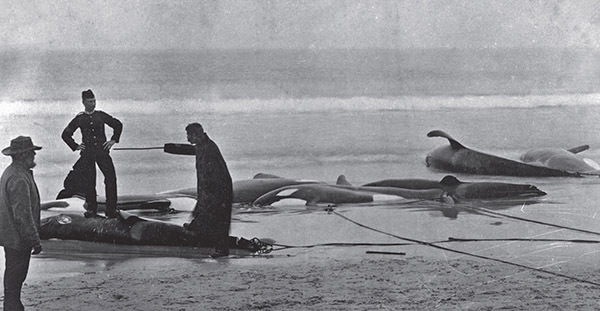 In 1955 seventeen orcas stranded at Paraparaumu. 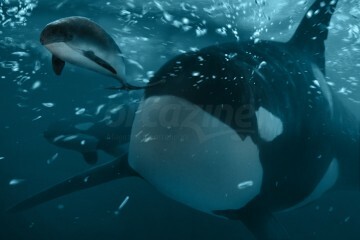 Later the animals turned out to be ecotype-D orcas that live in the sub-Antarctic ocean. In the 1980s another twelve orcas stranded at the Chatham Islands. 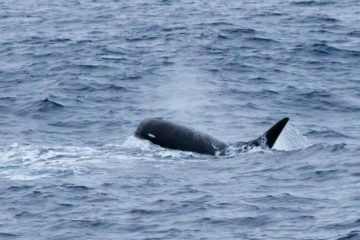 The orcas around New Zealand are familiar with strandings. While hunting stingrays at shallow sandbanks individual orcas can have an error in judgment and get stuck at low tide. Family members often remain in the area and the venturer swims away at high tide on their own or with human assistance. 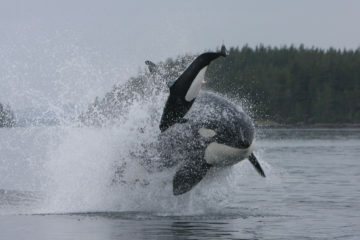 These orcas are regular visitors of the coastal waters. The animals know the terrain well and are used to hunt in shallow water. But New Zealand is not the only country with mass beachings of orcas. 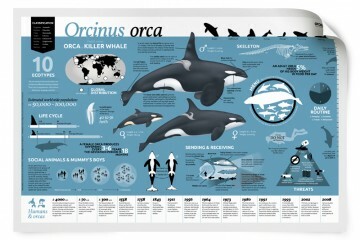 Orcas are distributed worldwide and that is reflected in the statistics. For example, there are reports of mass beachings on Vancouver Island, Mexico, Greenland, Alaska and Norway. In 2013, two mass beachings took place: in Iceland and Australia. The largest documented beaching was in April 1957 in Newfoundland. Nineteen to 25 orcas came in trouble, probably by sea ice, and ended up on dry land. Also in the Sea of Okhotsk off Hokkaido in Japan there have been several mass beachings because orcas became trapped in the frozen sea. 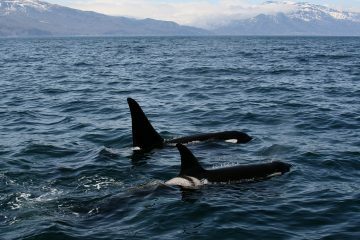 With most beachings there are fatal casualties, but a special beaching in Norway ended well for all orcas. 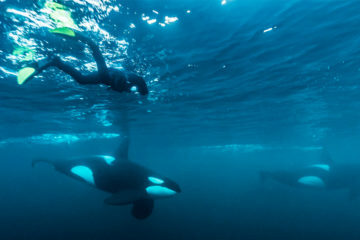 In 1981, about 30 orcas swam around in the Austnesfjord (Lofoten). Suddenly fourteen members came toward the shore at high speed. A large male jumped out of the water and landed on the weed-covered rocks. The other thirteen orcas became stranded one by one. Five of them struggled back to deeper water but the rest were stuck in a deadly trap. Fortunately, residents of the fjord helped so the animals could rejoin the rest of the group a few hours later. The orcas were probably trying to drive fish together by making use of the coastline. They probably made a miscalculation or had a communication error. 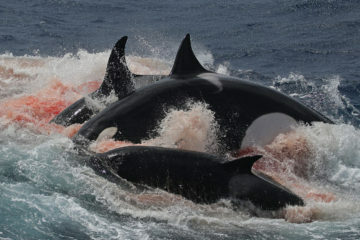 Taking risks or making mistakes when hunting is clearly one of the causes of orca mass beachings. But there seems to be a more prominent factor playing a role. 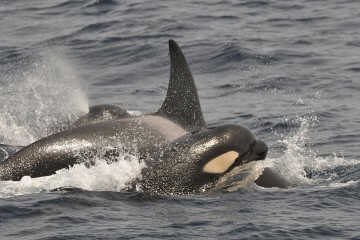 In many cases groups involved in mass beachings are orcas, which normally live in the open ocean. 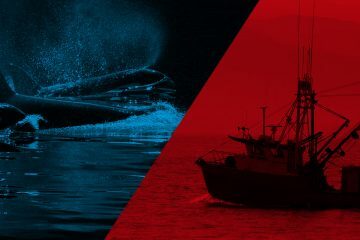 The animals are unfamiliar of the dangers of currents, shoals and tides in coastal waters. That inexperience can lead to wrong decisions or panic reactions with, sometimes, fatal consequences. The group recently stranded in New Zealand belonged to an unknown offshore population. The strong wear of the teeth suggests that sharks were on the menu. Furthermore, the animals were in a healthy condition. An underwater earthquake or noise nuisance can’t have been the cause. Most likely, inexperience with the area led to mistakes or accidents. What error or mistake exactly, can no longer be ascertained. That keeps the mystery around mass beachings still alive.